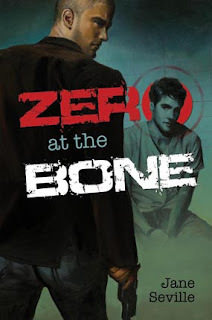 You know.. this kind of book should come with a warning.. a book with 60 to 80 percent straight content, with a young gay character floating in between the paragraphs, and nothing more. 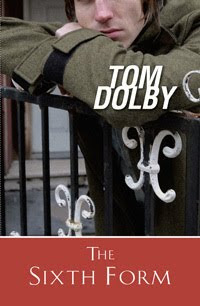 I like Tom Dolby's first work - The Trouble Boy. It was stupid of me to think that his second work would be involving a significant gay character's progress of coming out and coming of age. The Sixth Form is nowhere my expectation. To be fair, The Sixth Form is a well-written book. It is about Ethan, a straight young guy (why only after reading the book that I know this?? ), who goes to Berkeley and befriends a closeted gay, Todd. In the school too, Ethan becomes too friendly with a pretty 36 year old school teacher, Hannah, who seduces him and takes away his virginity. What frustrates me is that when I bought and started reading, I was expecting a gay novel. I thought I was paying for one. I mean, Tom Dolby wrote one - The Trouble Boy. Why shouldn't I expect him to stay on the course? Pages later, I realized that I am reading about the screwed-up straight world, which I could have read in any other novels. It's like Bart Yates - after two novels, he decided to write one - The Distance Between Us, which focuses more on straight characters.. Sigh.. I swear I won't be buying the next Tom Dolby's book, unless I am pretty sure it is a pure 100% gay content. Damn. What a waste of money for my gay book collection. Remember Robert Hoffman - the hot guy with fine lean abs in Step Up 2? Well, he has a short film on Youtube. It's cool. It's about a guy, who has trouble with relationship, and he dreams of dating himself. Damn! Two Robert Hoffman? This world has just gone more perfect than gay. A nice short gay film. Jack Francisco is a wanted man. Jack has witnessed three brothers killed a woman. D, a professional killer, is sent to kill Jack. Instead of doing his job, D ends protecting Jack and helps Jack to escape from hitmen who are sent to hunt them down, as well as keeping Jack away from FBI as it has already failed to protect Jack. What D fails to calculate in his mission is his eventual feeling for Jack, and Jack's feeling for him in return. Jane Seville has a winner here. This is one of the best gay novels in the market. I was captivated by the story and wanted to know more, while yearning for the safety of the main characters, no matter if it was for the forced-to-be-independent Jack or the cold D.
However, I have to say that there were a few areas which did not click with me. I did not fall for the plot where D become all mushy on the phone with Megan when Jack was teasing him. D did not seem to be such a person to let his professionalism or his cover-up down so much. And Jack whined a little too much on 'communicating'. And when the thrill of being chased by the bad guys at the end had ended, the story should have wrapped up as soon as possible. I did not understand why the story still had to drag on. It was like I was already prepared to leave the cinema, satisfied, and then suddenly there were more on the screen, instead of the rolling credits. Jane Seville produced a believable work. Something I felt like she had thought well of the possible consequences, and to a certain extent, made me believe she had dealt with such crimes and FBI issues that she could produce such believable thriller plots. The Fabre family has just moved into the neighborhood. Hanna (Michèle Laroque) and Pierre (Jean-Philippe Écoffey) have 4 children - one girl and three boys. Well, maybe not 3 boys. Ludo (Georges Du Fresne) believes that he is a girl. A seven year old girl. He likes to dress up as a girl and play dolls. He does not play sports like the other boys, because he believes that he is a girl God has built wrongly - forgetting an X for him, instead of the Y he is trapped with - an XY. And Ludo is obsessed to be Pam, the Barbie-alike, instead of wanting to be Ben, the guy in the Pam-Ben package. I often prefer coming out and coming of age stories, where the film deals with a teenage guy falls in love with another guy. 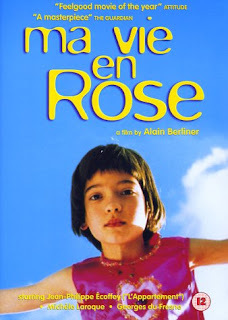 So, for me, to watch Ma Vie En Rose and to think of the trans issue, is usually a non-interest topic for me. But it was hard to be not interested when the movie was made so well. Ma Vie En Rose is co-written (with Chris Vander Stappen) and directed by Alain Berliner. It is a marvelous film, deserved to awed over again and again. It is an uplifting story about the world of a kid, and how the kid should be understood, instead of being judged. It's about us not imposing thoughts and ideas on others, when they don't fit into our stereotyped world. I was enchanted by the bond shared between Hanna and Ludo. The mother-son relationship was the center of the story, and not of Ludo obsession to marry his neighbor boy, Jerome. It was Hanna who initially protected Ludo's confusion with his identity when Pierre was upset. Count in Elizabeth (Hélène Vincent), Ludo's liberal-thinking grandma, to support Ludo through his obsession to cross-dress. And the psychiatrist's treatment was not working well for Ludo, who was already forced to deny his inner thoughts and feelings. Eventually Ludo's issue became a cause of concern among the neighbors, including Pierre's boss, Jerome's father. When Pierre lost his job, it was the protective Hanna who lost her cool, and started to treat Ludo coldly. I was puzzled with Pierre's sudden turn-around as the accepting father. Somehow, he emerged as the guy who was cool with Ludo's inability to adapt. Hanna became the temperamental one. The near-ending scene was a touching one, where adults are taught to be more open-minded and not to lose oneself in our expectation of how a world should be. Not much to tell anyone who is watching what to expect from Madonna's famous music video. A guy follows another guy home and ends up finding out that the latter is in an open relationship, something that the former is unable to accept. This short gay film deals with the moral issue of open relationship. Someone told me before this. It was just another normal busy shopping day in one of the plazas in Kuala Lumpur. In Kuala Lumpur, the city of the Muslim-majority country, gay is a taboo. Not that the gays in Kuala Lumpur are witch-hunted, but the practice is not recognised. My friend was shopping, and his eyes were cruising the hot guys all around. Songs were playing over the airplay. However, when Boyzone's No Matter What was played, according to my friend, two guys decided that the moment was too good to be scared of what they were and whom they loved. They held each other's hands. In public. Rest in peace, Stephen Gately. Uploaded by akn. - Watch more music videos, in HD! I have seen this ad a few times. Only today, I got it. Pepsi Max. It feels good to be a man. Two gay high school boys face the dilemma of coming out. One is comfortable with his sexuality and is willing to come out. The other wants to keep hiding in the closet. 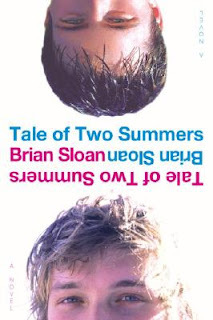 Tale of Two Summers is a gay novel, by Brian Sloan, written in a manner of blog entries by two best friends who are separated by the summer. Hal, the gay teenager, is stuck in his hometown. He is supposed to live through the boring summer, sitting for his driving test. His best friend, the straight boy, Chuck, is away for a drama camp. Both blog down the events that happen that summer - Hal meets a fag hag, Brett and a French young guy, Henri, who returns his affection. Chuck has crushes over Ghaliyah, but ends up spending more boy-girl moments with MK. I want to say badly that I was head over heel in love with this gay book, which talks about the friendship between a gay boy and a straight boy, as well as the mini love story of a gay boy. I should also say I love it because I like coming of age gay stories. But I can't. I spent around $60 on this book, based on my country's currency, and I felt a little wasted here. I think Brian Sloan has a good story plot here. But I am not one who is able to digest much of the blog entries. I can't understand how a story is told through blogs, ignoring perhaps other details which are so important, untranslated by blogs. There are several gay books I am unable to complete. I seriously thought Tale would be another, but I forced myself to continue to read. When I have to force myself to read, this is so uncool. I keep skipping paragraphs and pages, when Hal is blogging uninteresting stories about him and Brett, or when Chuck talks about MK. I am not convinced that as a straight boy, Chuck spends so much time blogging. For someone who wants to lose it, he is way too attached to his gay friend, instead of out there trying to score with the girls. And the length of the blog is unconvincing at times. Way too much for kids to go this distance to be labeled cool. I was interested much when Chuck talks about the possibility of Hal being interested in him... judged by the kiss. Unfortunately, that was shot down eventually. Thank goodness there was French Henri to keep my interest on the book alive. But it went down too, when Henri acted stupid at the end. Still, the few chapters before the crash were good enough to burn the pages. I mean, hot stuff. When Brian hinted that there could be a book 2, I told myself ENOUGH. I won't touch a book two of such story-telling. And the funny part is that I actually bought A Real Nice Prom Mess even before I had started to read Tale of Two Summers. I pray that I would like Prom Mess much better than Tale. This gay film won Ursula Award Hamburg Lesbian and Gay Film Festival and Best Short Film Torino International Gay & Lesbian Film Festival in 1998. This clip is only 3 minutes long. The actual gay short film is 22 minutes. Although this was made in Norway, for a movie edited this beautiful, no words are needed.